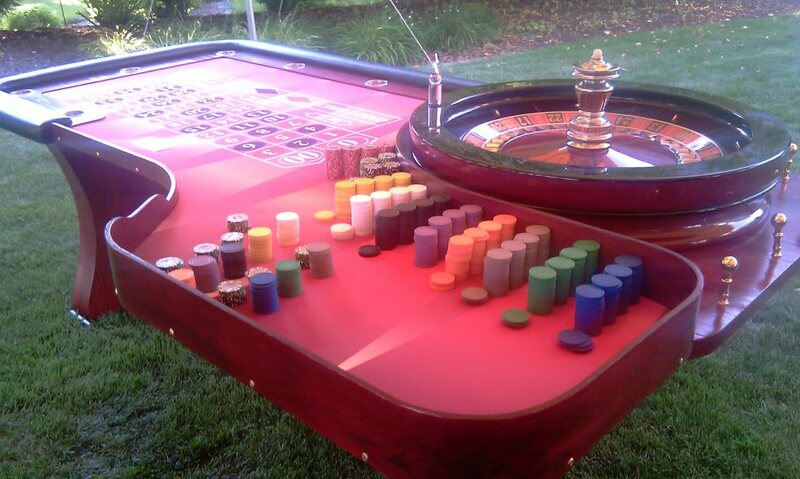 Our Roulette tables are beautiful and will add an unbelievable look and feel to your casino party or event! Our Roulette tables are of the highest quality materials and will give your event a great look and feel! Our Roulette table is a beautiful high-end furniture quality table. This is the exact same table you’ll find in many actual casinos around the world. The table comes equipped with a complete set of Roulette Chips Markers, (2) Roulette Balls, Casino Chips, Table Marker, and cup holders for each player. The table also features a padded arm rail for player comfort and a digitally printed synthetic felt which doesn’t absorb liquids. Each table can accommodate up to 8 players at one time. The table is made of beautiful oak wood covered with a dark cherry stain. Also comes with a REAL high end professional 32 inch Roulette Wheel. Every one of our wheels have been used in an actual casino or riverboat. This is as real as it gets without going in a casino! Roulette has offered glamour, mystery, and excitement to casino-goers since the 17th century. 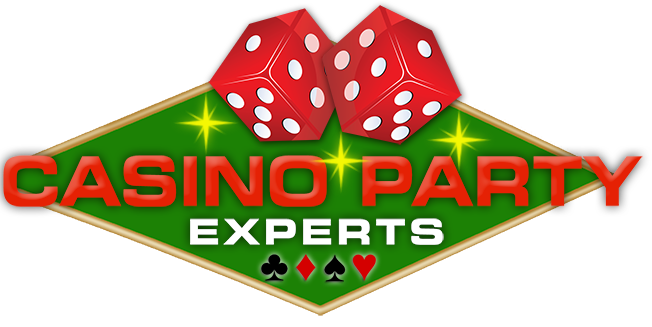 The game is popular in casinos worldwide in part because its rules are relatively simple and easy-to-understand. However, roulette also offers a surprising level of depth for serious betters. To determine the winning number and color, a croupier spins a wheel in one direction, and then spins a ball in the opposite direction around a tilted circular track running around the circumference of the wheel. The ball eventually loses momentum and falls onto the wheel and into one of 37 (in French/European roulette) or 38 (in American roulette) colored and numbered pockets on the wheel. When a winning number and color is determined by the roulette wheel, the dealer will place a marker, also known as a dolly, on that winning number on the roulette table layout. When the dolly is on the table, no players may place bets, collect bets, or remove any bets from the table. The dealer will then sweep away all other losing bets either by hand or rake, and determine all of the payouts to the remaining inside and outside winning bets. When the dealer is finished making payouts, the marker is removed from the board where players collect their winnings and make new bets.